What could be more romantic than a pair of swans? 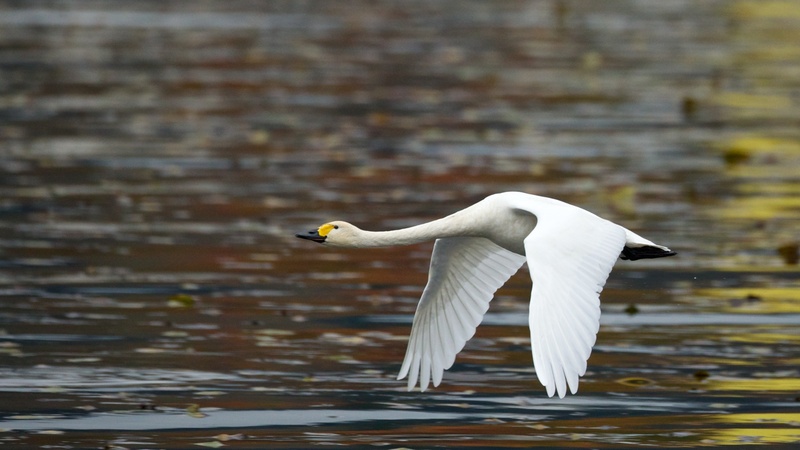 Swans have long exalted the human heart. 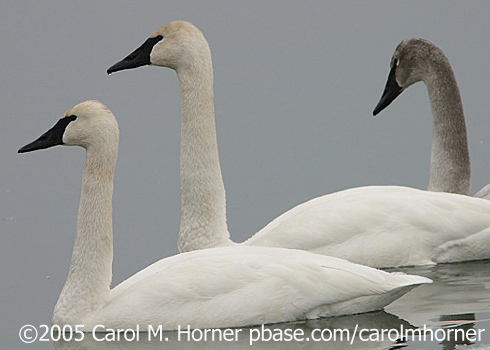 Among the world's most magnificent creatures, swans inspire us, especially on Valentine's Day. 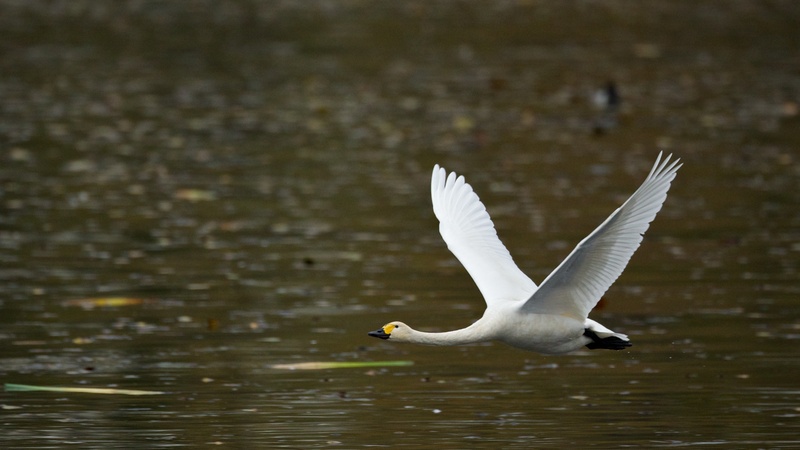 On a lake, an adult pair of swans glides serenely, side by side, a classic symbol of love. And they have earned their reputation for fidelity. Swans mate for life. Their bond endures from year to year and the family group remains together until spring. No wonder swans have worked their way into many human images of love. 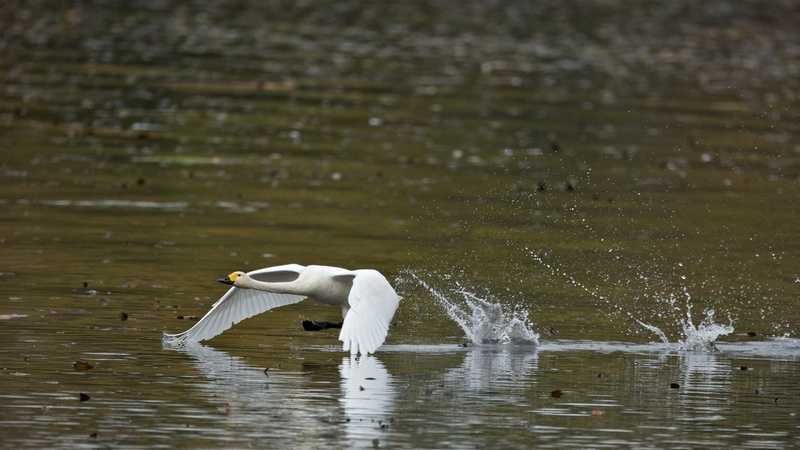 On a lake, an adult pair of swans glides side by side, two young cygnets between them – an image of protective love. They mate for life, their bond enduring from year to year and the family group remaining together until spring. No wonder swans have worked their way into many human images of love. It was in the guise of a swan that the Greek god, Zeus, came to Leda, queen of Sparta. One result of their tryst was the lovely Helen, whose affair with Paris of Troy set in motion that most enduring of epics, The Iliad. Happy Valentine’s Day from BirdNote. I’m Frank Corrado. 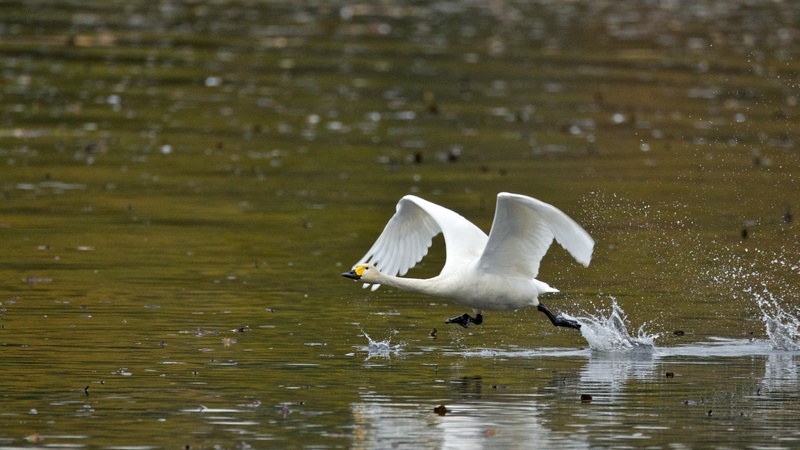 Call of the Tundra Swan provided by The Macaulay Library of Natural Sounds at the Cornell Lab of Ornithology, Ithaca, New York. Flock sounds recorded by G. Vyn. Pair calls by B. McCaffery.